Nowadays parents and the government try hard to protect children from unwanted online content. That's why special filtration programs called “parental control software” are highly sought after. In this test we checked the effectiveness of popular programs filtering unwanted for children Internet sites. The results of this test should help parents choose the highest quality protection for their children surfing through the global network space. In this test we analyzed the ability of popular antivirus programs to treat active malware by statement on October 2012 -- when a malicious program has been executed and installed on a computer and may be using various methods to prevent detection and removal by antivirus solutions. When choosing a personal antivirus, protection quality is one of the main criteria. But if the results for some products are about the same by this factor, the user starts paying attention to the other characteristics of these products such as their productivity and usability. 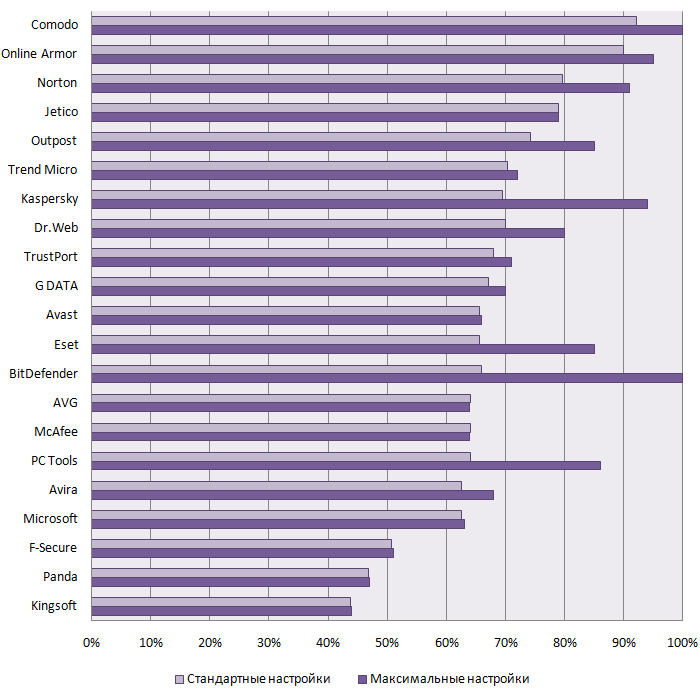 In this test we examine the self-protection capabilities of TOP-20 most popular Internet Security antivirus products against 33 cases of possible malware attacks aimed to override or disrupt operation of the antivirus protection. This was the first time we tested the antivirus self-protection under Windows 7 x64. Our test was the first in the world to check how really effective are these popular filters in protecting children from unwelcome websites. The test results can help parents to choose the best and most qualitative protection for their children familiarizing with the global network.